Every company is unique and that means the way that each company run their performance reviews also unique. At Lattice, we want the products we build to work with the way you work, not get in the way of it. 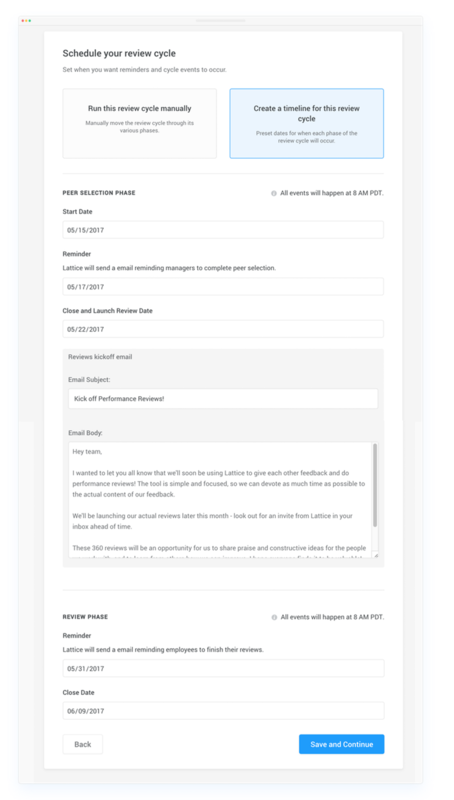 We’ve added several new questions types that you can choose from when building out your review template. In addition to rating and comment questions, you can now choose to add multiple choice and multiple select questions. 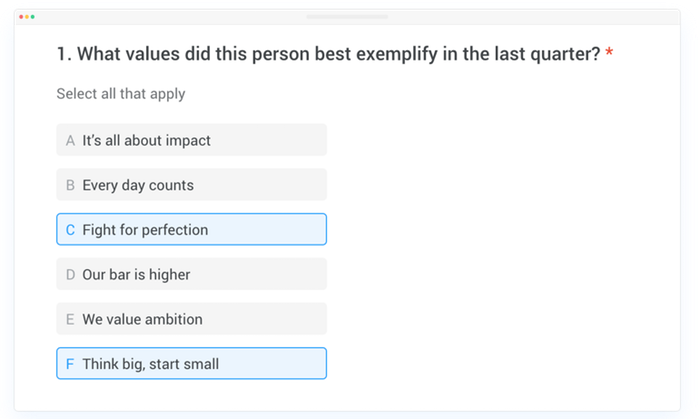 You can also mark a question on a review template as optional, since we know that not every question will always be relevant to every employee filling out the review. 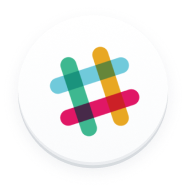 It can be hard to keep a large review cycle on schedule and annoying to constantly check in on who’s submitted all their reviews and which employees need more time. 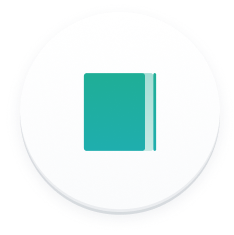 Now, you can put a review cycle on a schedule: presetting when peer selection starts, when the review cycle launches, when the cycle should end, as well as when employees will get reminders. And as an admin, you’ll get an email the day before each phase of the review cycle so that you can chose to push back when the next phase of the review cycle will happen to give people more time. For more details on how to setup a scheduled review cycle, check out our help center article. Many companies have a performance conversation with new employees 3 or 6 months after they start. 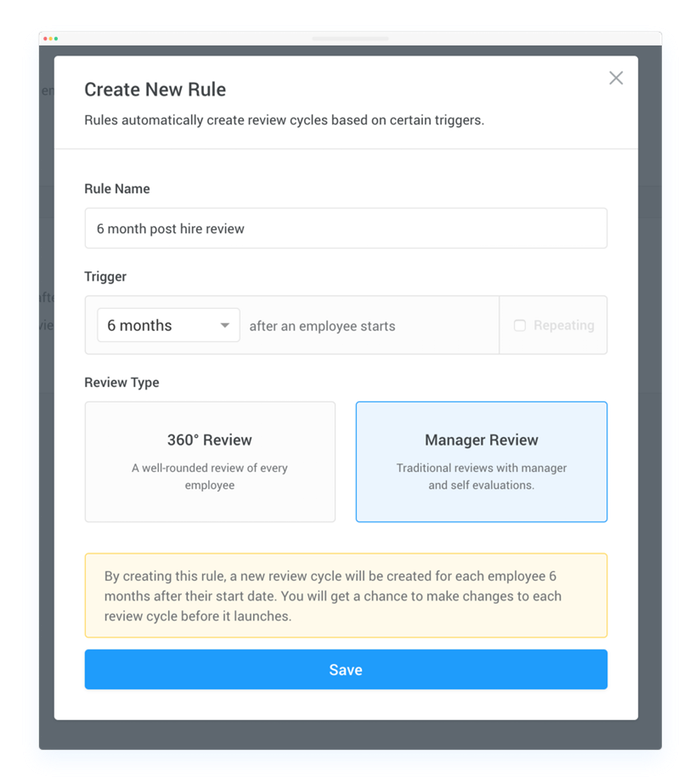 To help make this process easier, you can now set up automated rules in Lattice that will trigger the review cycles and send an email reminder to admins when a new employee is up for review. Instead of having to remember each new employee’s start dates, just rely on Lattice. And if you want employees to be consistently reviewed every 3, 6, or 9 months after their start date, you can also set the rules to be recurring. For more details, check out our help center article.